NONOTAK Studio is the collaborative project of illustrator Noemi Schipfer and architect/musician Takami Nakamoto. 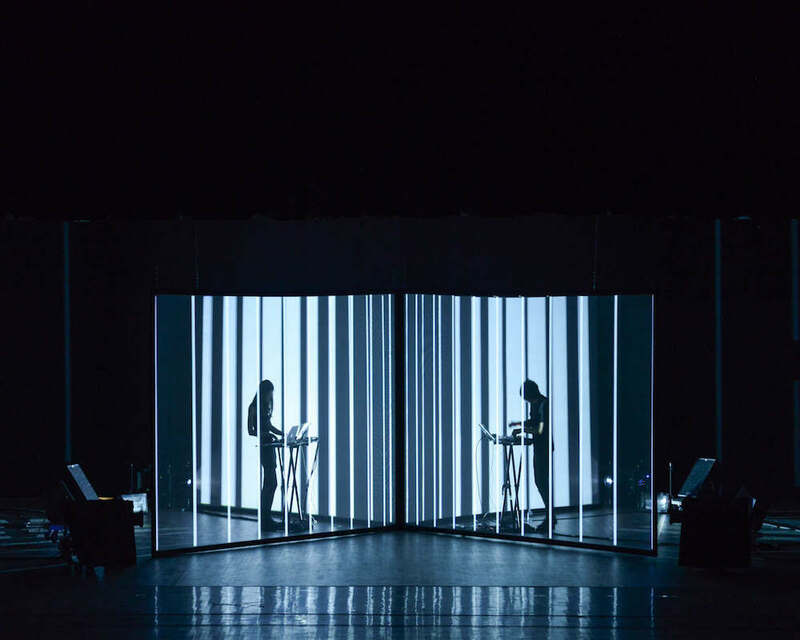 They work with light/sound installations and performance pieces to create ethereal, immersive and dreamlike environments which are built to envelope the viewer. 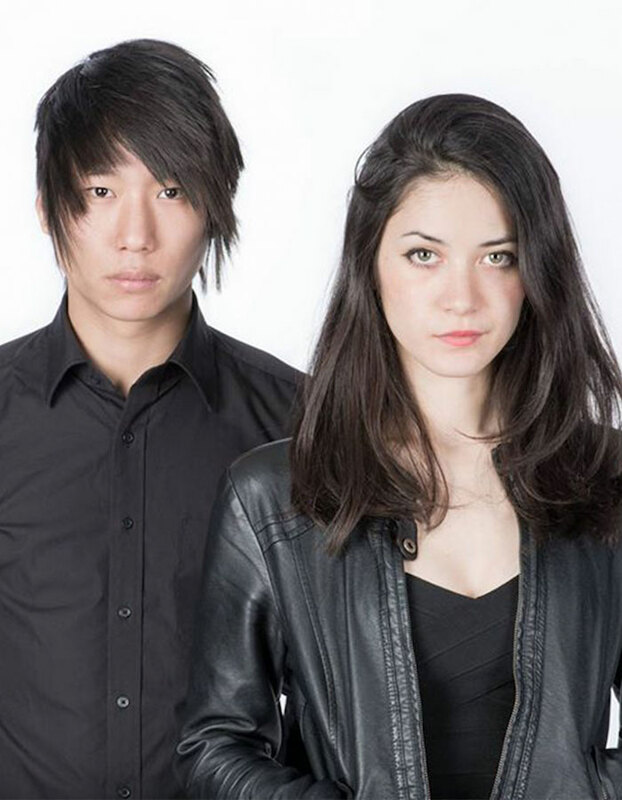 The pieces capitalize on Takami Nakamoto’s approach to space & sound and Noemi Schipfer’s skill with kinetic visual and complex, geometric illustrations. 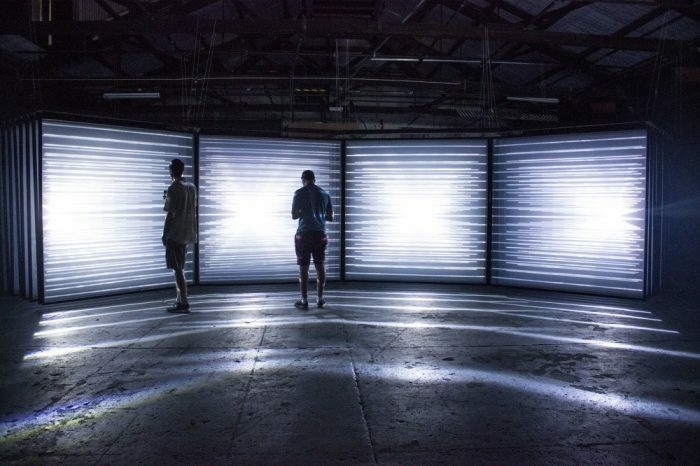 An audiovisual installation that generates spatial distortions and holographic visuals. With relationships between space and time, accelerations, contractions, shifts and metamorphosis being the lexical field of the project, Daydream is an invitation for contemplation. 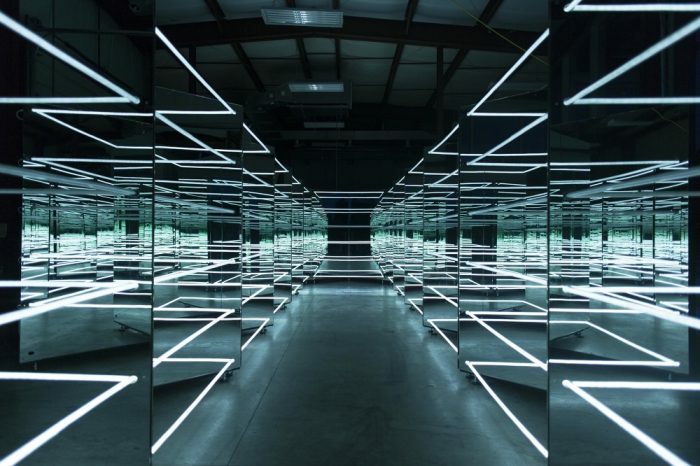 This installation aims to establish a physical connection between the virtual space and the real space, blurring the limits and detaching the audience from reality temporarily with lights generating abstract spaces and sound defining the echoes of virtual spaces. A seemingly simple combination of mirrors and lights that plays with the ideas of maximalism and minimalism, complexity and simplicity. Built on an architectural scale and capitalizing on infinite multiplication and layers of reflections coupled with sound design, the piece creates a totally enveloping and immersive experience. Presented by The Creators Project and Toyota earlier this year, the piece was showcased at one off presentations in New York, Chicago and Los Angeles with many more showings scheduled for the rest of the year all over the world. A new audiovisual performance premiered at Todaysart Japan and MUTEK Montreal. Following the success of ‘Late Speculation’, it uses similar mapping techniques and material with 2 large frames in an X format, 4 high power projects plus sound and visual modulated on the fly so no two performances are the same.